Previously I have written a post about how Link Click Listener and Click Listener works in Google Tag Manager. That was for using with old version of GTM. 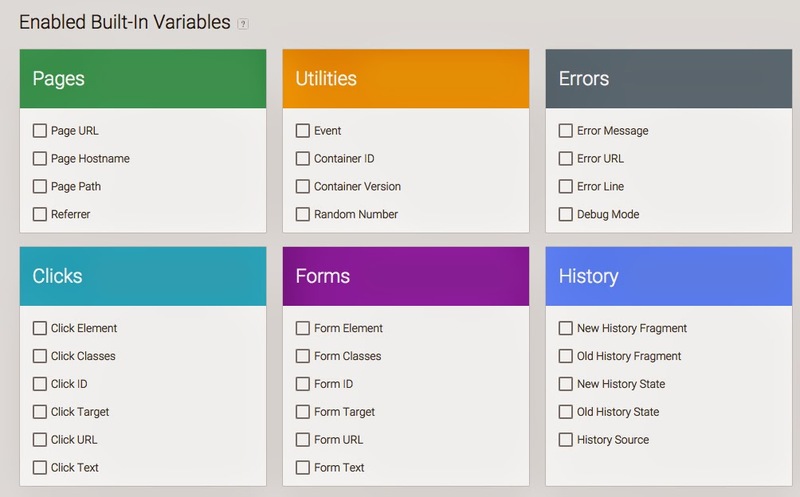 The below is how you can implement these two for new Google Tag Manager. I will skip the parts about creating GTM container and such as these are mentioned in my old post. Instead I will just go right to the part where you create these two listeners. 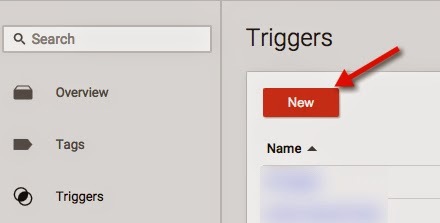 In new GTM interface, the naming has changed. Rules have been changed to “triggers”, Macros have been changed to “variables”. New GTM has Enabled Built-In Variables which basically means you now don’t have to manually create Variables (Macros) for GTM Container ID. I think this is cool because it saves a lot of time for me to create these and now I just have to tick/check any Variables I want to implement. 2. You will land to a screen as below. Under Choose Event> Select Click. 7. And then once you click save, it is done. 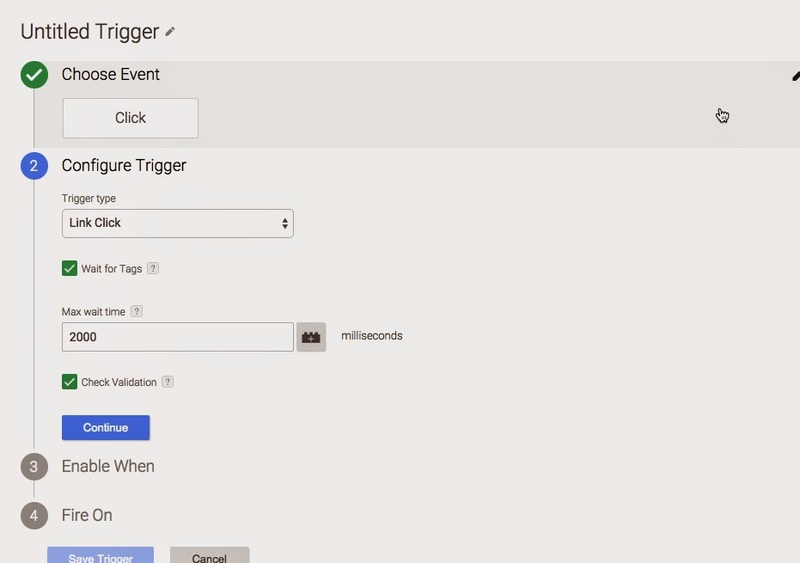 You have set up a trigger to track all link clicks happening on your website. Similarly to link click listener implementation, implementing click listener follows the same process. So step 1 and step 2 will be the same as above and in step 3, instead of link click listener, you choose “click listener”. Then, for “Fire On” rule, the same thing as link click listener, you can either set up the trigger to fire on All Clicks or Some Clicks only. 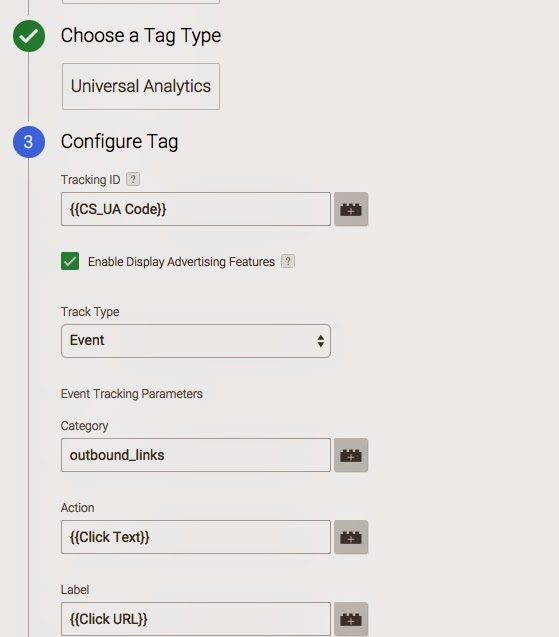 And here is how the same tag looks like for Link Click Listener Event Tracking. Note: Before creating this tag, you might want to enable your built-in variables such as Click ID, Click Target etc. And then “On Fire” rule for this tag, click on “More” and select the trigger you have defined for Link Click Listener above. The process is similar for Click Listener Event tag as well. Just that you have to change the trigger type to Click Listener Trigger. So that’s it! This is how you can set up link click listener and click listener for new GTM. Give it a try and leave comments if you have any questions. Note: This post also appears on zinkohlaing.blogspot.com. 1) Do tags created as per your old post need to be migrated to the new model? 2)Should I keep the listeners I created following the instructions on your old post or get rid of them? 1) If you allow Google to migrate to new GTM, they will be automatically updated so you don’t have to do anything. 2) My old post will only be applicable for older version of GTM so in new GTM, you won’t need these anymore. Hope this helps. So… then I don´t need anymore old tags such Click Listener or Link Click Listener or Form Submit Listener from my old GTM (migrated automatically) in my new GTM? Can I delete them and all tags will works OK? If now it works with Choose Event inside triggers… choosing correct type (Click, Form Submit, etc. )…is it OK? Í don´t need old listener tags anymore?